The DS3 Cabrio offers stylish and efficient open top motoring – although it’s not a full convertible. Under the bonnet you get the hi-tech 875 cc two-cylinder TwinAir engine which allows the 500 to shine in the official fuel consumption tests. 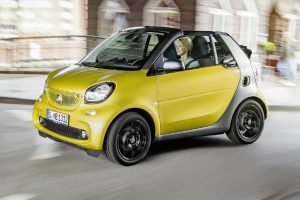 The smart puts our diesel contenders to shame by emitting just 97 g/km of CO2, making the fortwo the lowest CO2 petrol convertible on the market. The DS3 Cabrio has all the design flair of the DS3, with excellent economy to go with it. 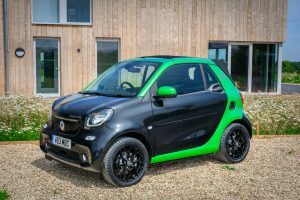 A fun but expensive way to combine electric and open air motoring. Make sure you can live with the range before you sign on the dotted line.